The latest 6MP Elite series IP Network Vandal Dome security camera is made to take a beating . . . literally! It’s called a vandal dome because it has been tested and rated IK10, meaning that it’s rated to withstand impact from a 22 pound object being dropped on it from 15 inches away. 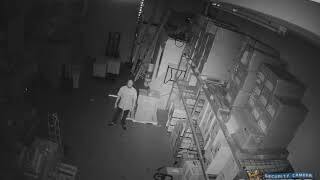 We don’t expect you to try this at home but if a criminal wants to avoid getting caught, it’s nice to know that your cameras are built to handle attempts to damage them. This camera is perfect for use inside and outside with an IP67 rating that means it’s protected against dust and water intrusion. There are times when lighting conditions are not quite perfect and that’s when WDR (Wide Dynamic Range) becomes one of the most relevant features of this camera. With true WDR @120dB, overexposed and underexposed frames are automatically optimized so that your images are not washed out or covered in shadows. This camera is chock full of features that represent some of the newest technology available so that you can maximize the effectiveness of your camera. Extended PoE, A.K.A. ePoE, is one of those features and gives you the ability to power your IP cameras and transmit video data more than 800m at a speed of 10Mbps and 300m at 100Mbps using Cat5 or coaxial cable with NO repeaters! One of the most personalized features is IVS or Intelligent Video System. IVS allows the camera to notify you when a predetermined trigger has been set off. 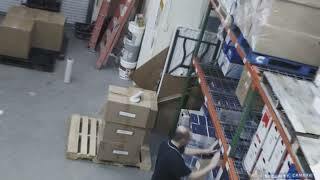 With the creation of Tripwire violations, the camera can send an email or set off an alarm when properly configured. Other options include abandoned or missing objects, intrusion detection, and even advanced face detection. This camera can be set to use H.264/H.264+/H.265 and even H.265+ video compression that can reduce file sizes by up to 82.5% (between H.264 and H. 265+) and thereby reduce network strain and hard drive usage. With a 6MP camera, you can see amazing detail and appreciate all of the capabilities including the 2.7 to 13.5mm motorized optical zoom lens and the 16X digital zoom capability. When it comes to your security, the more you can see the better. That goes for day or night, light or dark and with the patented Starlight™ technology, the Smart IR (Infrared) only kicks in when there is no ambient light available and that lets you have color video for longer periods of time. If you are dealing with total darkness and the IR comes on, you’ll still be able to see up to 164 feet away from the camera. This 6MP IP camera comes with a 2 year warranty, FREE US based tech support and FREE remote monitoring software.